Welcome to St Paul's History website! 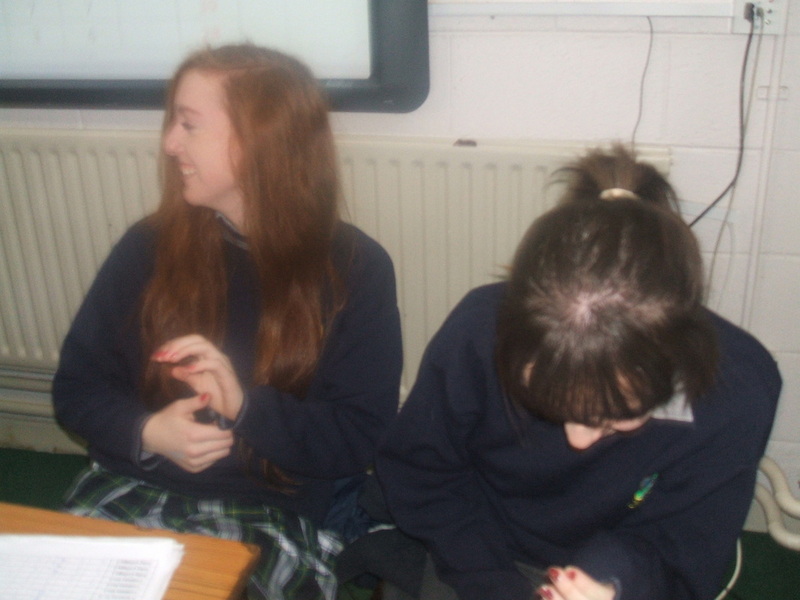 This website is intended to help all students, 1st to 6th year, who are studying history. Work will be done over the next few weeks to build up a database of worksheets, links, notes etc as well as other useful and fun links to “history stuff”! There will also be information here about history events in the school. 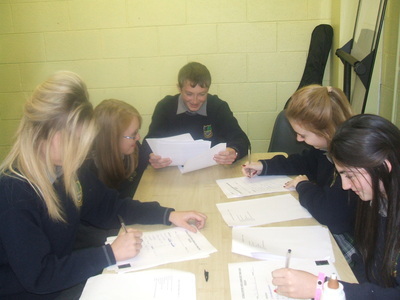 Four JC History students headed for Tallaght Community School on March 31st to take part in the Annual Junior Cert Table Quiz run by the Dublin History Teachers Association of Ireland. This very prestigious competition, second only to the Senior HTAI quiz, was well attended with 20 schools from across Leinster. 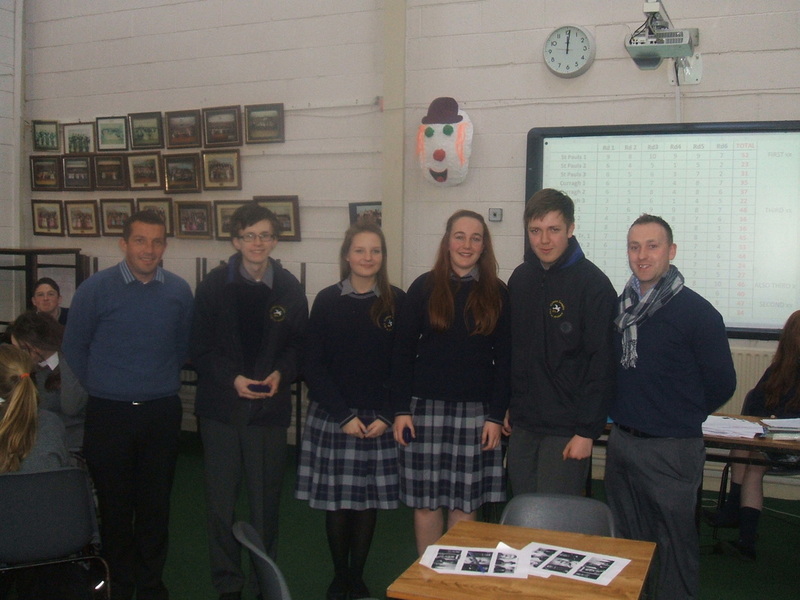 of points to tie in 2nd place with Clonkeen, agonisingly only one point behind the winners, 1500 pupil Gorey Community School. 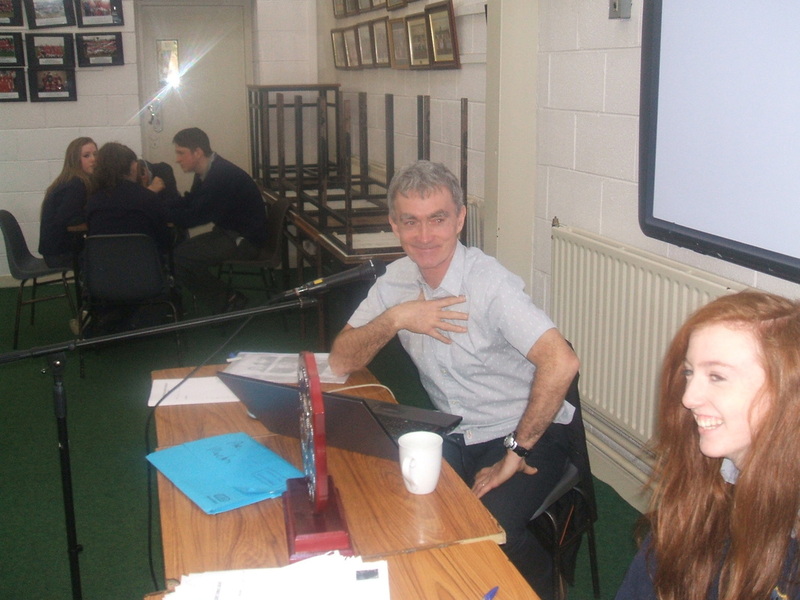 In the play off that ensued, St Pauls managed to get 4 questions out of 6 correct, while Clonkeen managed 2. 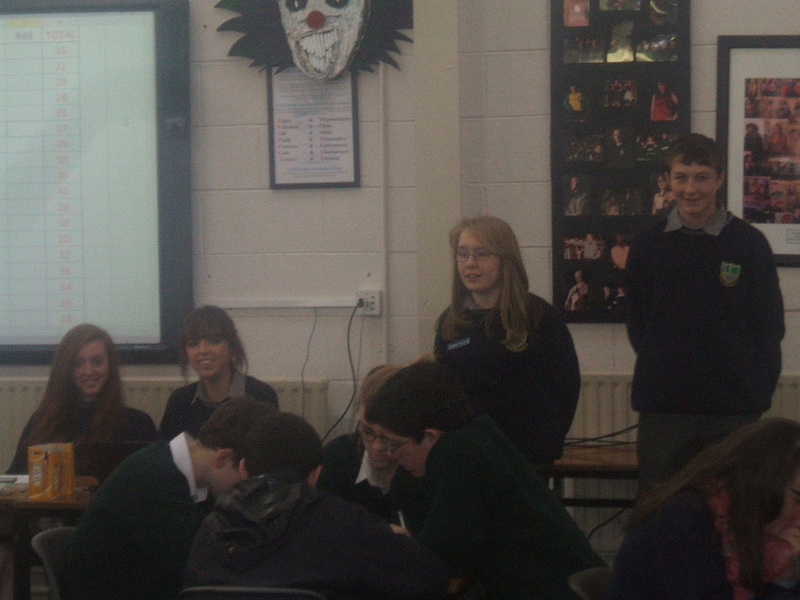 The team eventually finished with a grand total of 52 out of 60, a great achievement. 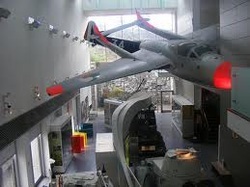 On 19th March, 3rd Year students visited the National Museum, National Gallery and Collins Barracks in Dublin. 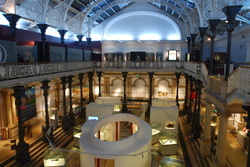 First stop was the National Museum where the group viewed artifacts and displays from Ancient Ireland and Medieval Times. 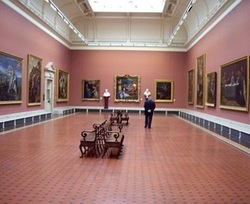 From there the students went to the National Gallery where they were given a guided tour of Renaissance art and also 2oth Century Art. Thu Nov 21st : Drop Everything and Read History! 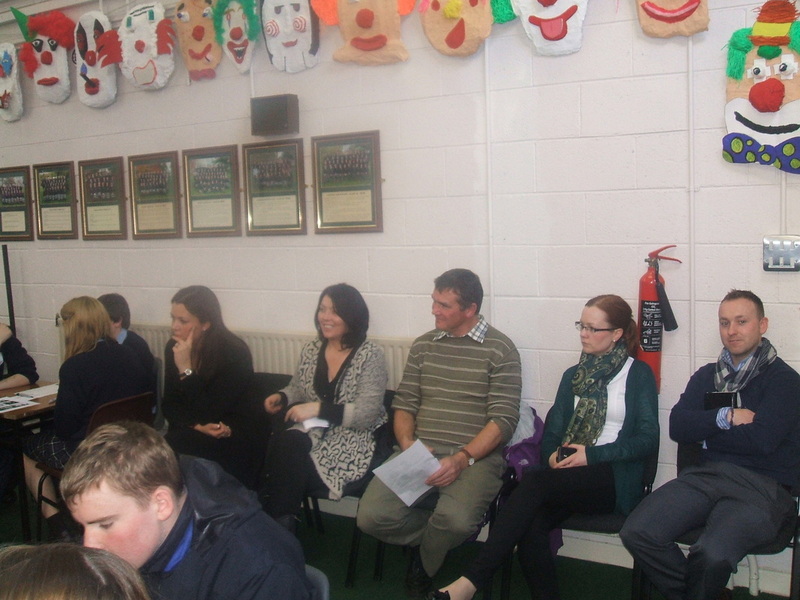 We were very fortunate that members of the Local Historical Society opened our 2013/14 History week for us again this year. 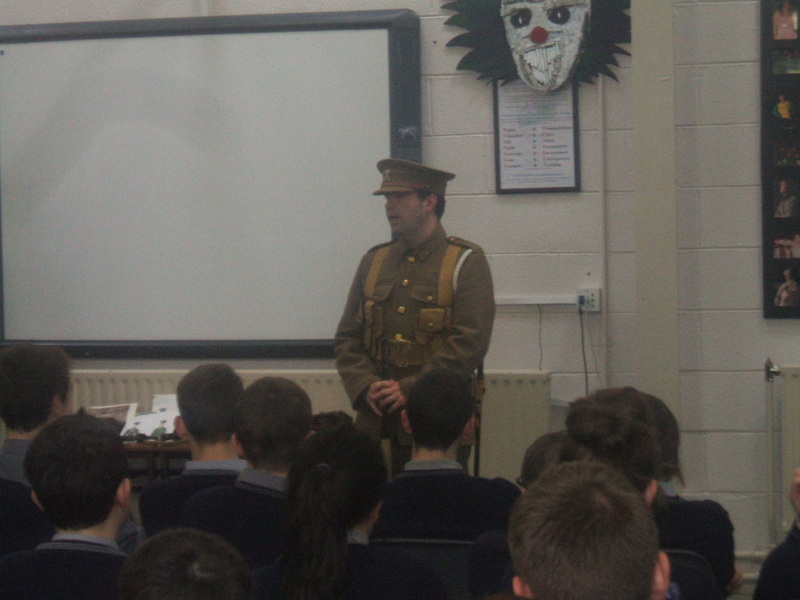 This time they decided to grace us with uniforms, weapons and stories from the 1912-22 period in Irish History. 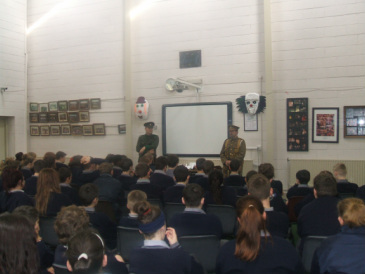 In front of a large group of 2nd and 3rd Years, both Eamonn Dunne and Barry Walsh kept the audience enthralled with tales of Irish and European history, from the trenches and beyond. 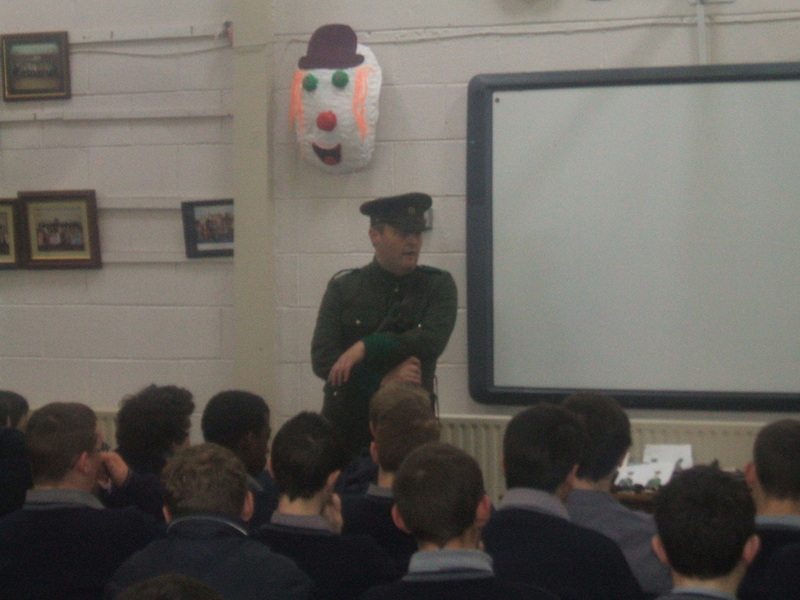 Barry Walsh, dressed as a British Tommy, tells the audience of 14 and 15 year olds exactly what would have happened to them if they were back in the 1910s. They would have been out working, and some, as young as 15 would be volunteering for the Great War. 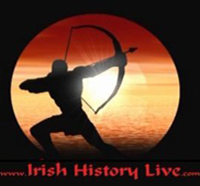 Eamonn Dunne, dressed in an Irish Battle Dress of the time, has the audience in the palm of his hand, telling them stories about their relations of bygone days, that they didn't even know about! 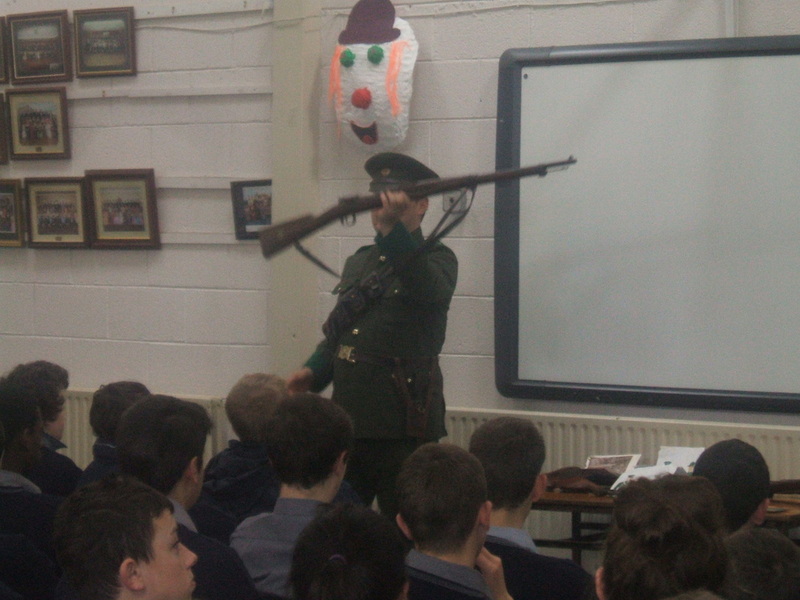 Eamonn holds up one of the rifles used at the time by the Irish Army. 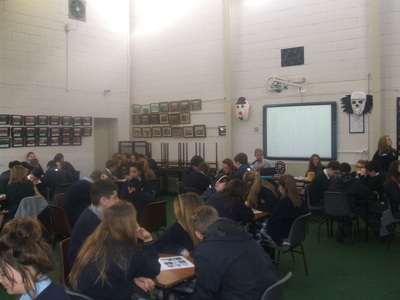 Many thanks to the schools who took part: KTSC, Athy College, Curragh PP, Ardscoil na Trionóide Átha Í, St Pauls and Coláiste Íosagáín Portarlington. 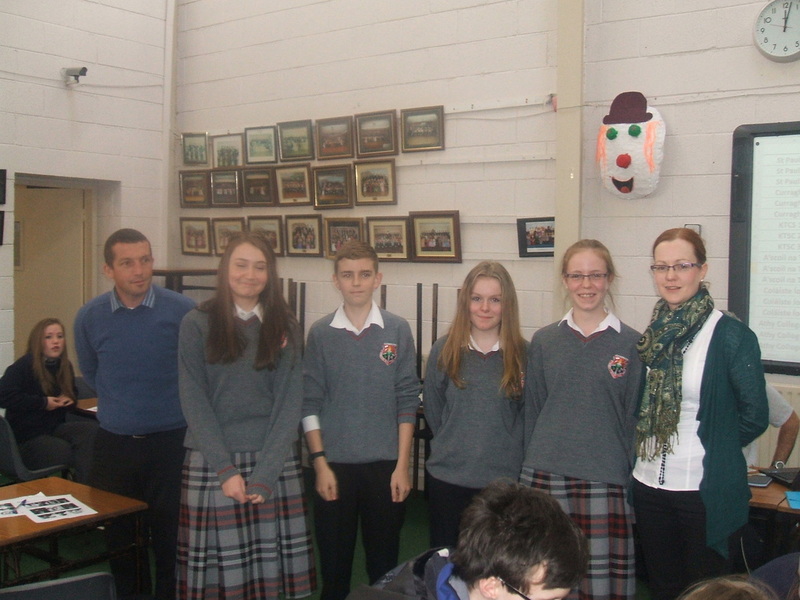 St Pauls winning team, (Hannah Duffy, Laura Cleary, Sarah Roche and Gemma Duffy) and their Principal Mr. Bergin (right). 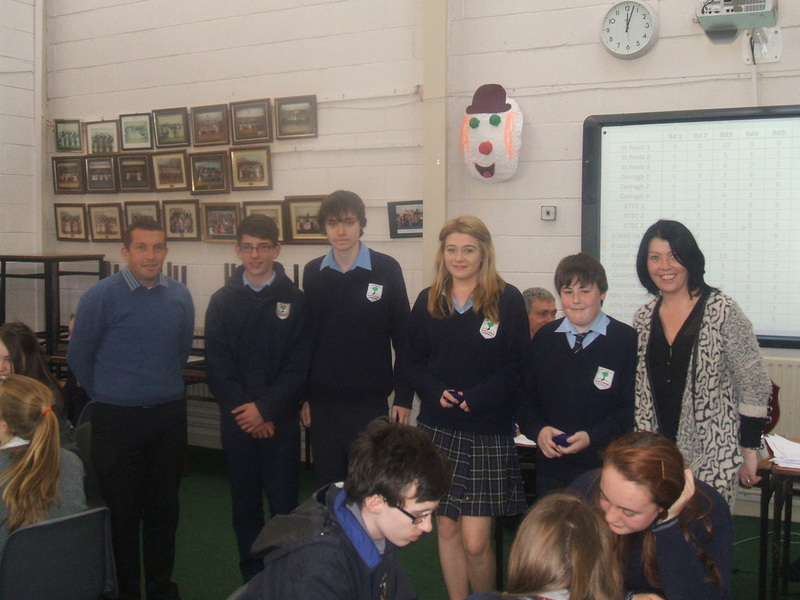 KTSC from Kildare town, who came in Joint 3rd place. no no no,,,dont look at me! !